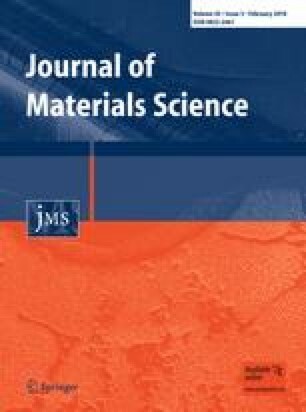 To investigate the initial mechanical strength and the degradation behaviour with the associated changes in mechanical properties of magnesium-based osteosynthesis implants, 30 rabbits were implanted with cylindrical pins of the alloys MgCa0.8 (magnesium with 0.8 wt% calcium), LAE442 (magnesium with 4 wt% lithium, 4 wt% aluminium and 2 wt% rare earths) and WE43 (magnesium with 4 wt% yttrium and 3 wt% rare earths). The implants were inserted into the medullary cavity of both tibiae. After 3 and 6 months, each half of the animals was euthanized, respectively, and the implants were taken out. A determination of volume, three-point bending tests, scanning electron microscopy (SEM) and energy dispersive X-ray analyses as well as metallographic and μ-computed tomography examinations were accomplished. All implants were clinically well tolerated. MgCa-implants showed the least initial strength and the highest loss in volume after 6 months. SEM- and μ-computed tomography examinations revealed a pronounced pitting corrosion. Therefore, their use as degradable implant material seems to be limited. LAE442 has the best initial strength which seems to be sufficient for an application in weight-bearing bones. The degradation behaviour is very constant. However, possible unknown side effects of the rare earths have to be excluded in further investigations on biocompatibility. Considering all results of WE43, its application as osteosynthesis material for fracture repair is ineligible due to its heterogeneous and unpredictable degradation behaviour. This study is part of the collaborative research centre (SFB599, Medical University of Hannover, University of Veterinary Medicine Hannover and University of Hannover), which is sponsored by the German Research Foundation (DFG).